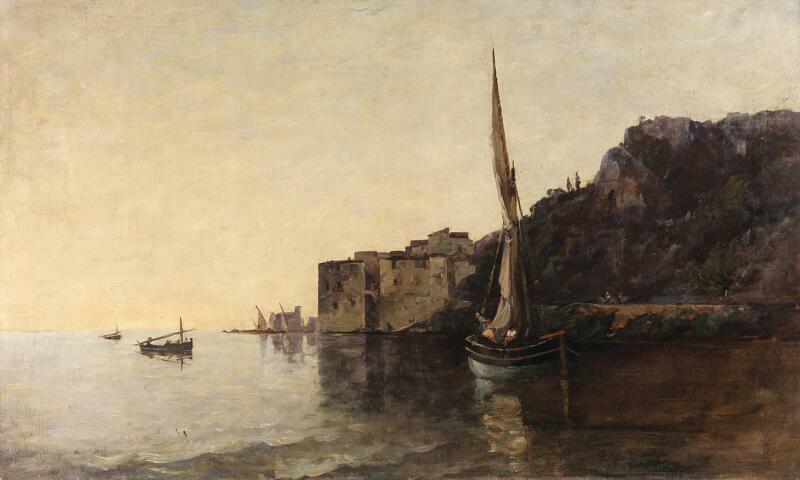 Nathaniel Hone the Younger, A View of Villefranche from the East, c.1880. This exhibition celebrates one of the most important figures in the history of Irish art in the nineteenth century: Nathaniel Hone (1831-1917). Considered by Hugh Lane to be Ireland’s greatest landscape painter, Hone was a pioneering artist, receiving formal training in Paris before developing his skills in provincial France. He was well connected among his peers in France and Ireland, brushing shoulders with the likes of Jean-François Millet and Jean-Baptiste-Camille Corot; well regarded by critics; and a vigorous exhibitor. This exhibition will take a particular look at Hone’s travels which were far and wide-ranging. Visitors will be able to trace Hone’s journeys from France to Egypt, and witness the evolution of his style from one country to the next. The exhibition also marks the centenary of the Hone Bequest: the single largest donation (in terms of volume) to the National Gallery of Ireland. Comprising well over 500 works (212 oils and 336 works on paper), the gift was made to the Gallery by Hone’s wife Magdalene in 1919, two years after his death and accessioned in 1951. The Hone bequest was so large and comprehensive that the Gallery has never purchased a picture by Hone. Indeed, all but one of the 548 works by the artist in the collection were acquired through the 1919 bequest. The exception to these was the large and enduringly popular Pastures at Malahide, presented to the institution by Hone himself in 1907. Nathaniel Hone: Travels of a Landscape Artist showcases over 30 works exclusively from the National Gallery’s collection of Hone, tracing the development of the artist’s career as he travelled from Ireland to various locations such as Paris, Barbizon, Italy, Greece and Egypt. While many are familiar with Hone’s pastoral scenes, particularly those set in Ireland, there is equally a vast range of works representing the diverse environments and cultures he experienced during the large part of his life that he spent travelling that many are unacquainted with. The intention of this exhibition is to reveal the richness and variety of Hone’s subject-matter and style.